One suffocating July weekend, my parents took us on an outing. My father drove his ancient pickup truck down a winding gravel path that took us far from the comfort of the suburbs. We followed a bubbling brook for several miles when suddenly elderberry bushes burst into view, laden with shiny, purple-black fruit. Hours later we returned home weary, berry-stained and loaded down with boxes full of elderberry stems, leaves and fruit. After carefully removing berries from stems, grandfather and mother went to work in the kitchen. That summer we ate the berries every way imaginable: elderberry jelly, elderberry cobbler, elderberry sauce. My grandmother's elderberry cordial was unforgettable. I only know this because of my frequent covert missions to the pantry, where I sipped the fruity syrup straight from the bottle. Little did I know that the syrup was an old-time remedy for everything under the sun including the common cold and flu. Family lore has it that the sweet syrup even cured my brother's asthma. This sauce is my tribute to the memory of my grandfather and his wild berry creations. It can be elaborated with any wild berry, including huckleberry or mulberry, or you can use commercially cultivated berries such as blackberries, blueberries, strawberries or raspberries. This sauce is a wonderful partner for seared elk tenderloins and is unforgettable drizzled over panna cotta, plain yogurt, vanilla ice cream, pancakes or cheesecake. 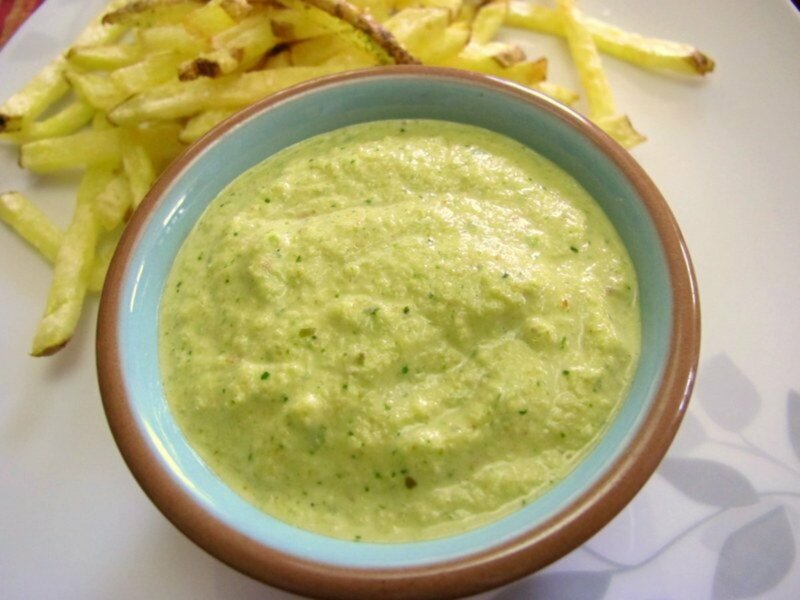 Mix it with cream cheese and smear onto bagels and english muffins, or stir a tablespoon of sauce into tangy limeade. Enjoy! "Eat five to eight helpings of fruit and vegetables a day, but include berries three to four times a week," says Dr. Gary Stoner, Director of the Laboratory of Cancer Chemo Prevention and Etiology at Ohio State University. Berries contain an abundance of phytochemicals, including anthocyanins, one of the most important of the phytochemicals. While it's true that berries are 90 percent water, the powerfully colorful juice that is capable of staining both clothing and hands is chock full of antioxidants and disease-fighting chemicals. 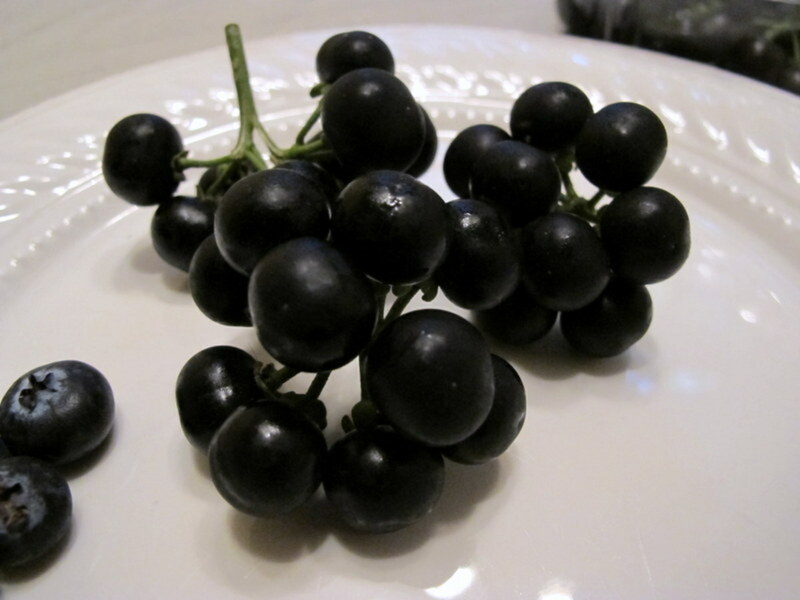 The darker colored the berry, the higher the level of anthocyanins. Best of all, wild berries are often free! Just make sure to correctly identify the berry and confirm it is safe for human consumption. 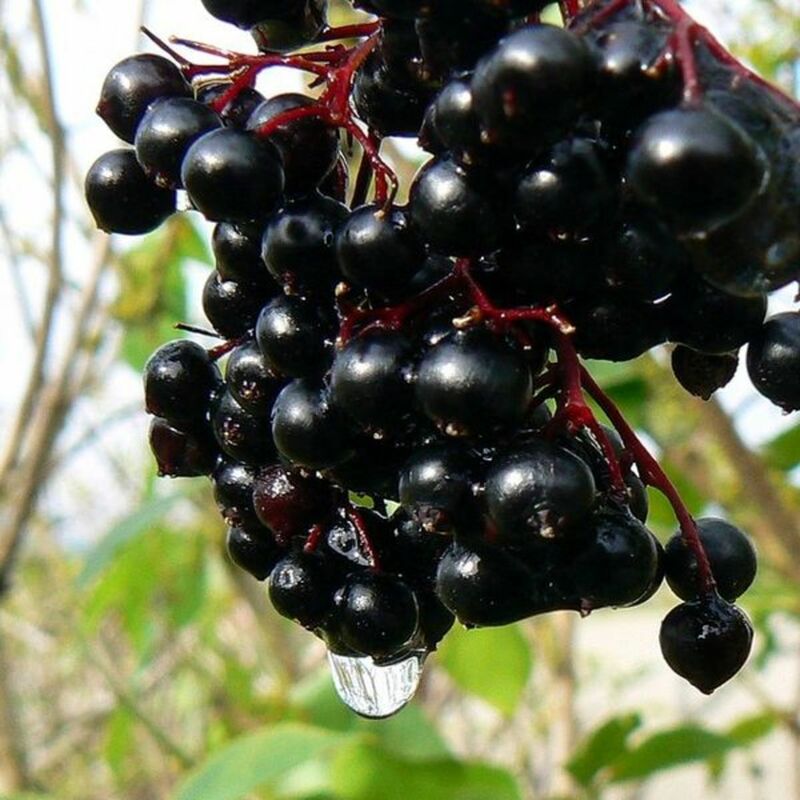 Elderberry syrup is a well-known folk remedy which boosts the immune system and fights the common cold and flu. Anti-bacterial and anti-viral, it's safe even for children. Why not try some today? Be sure to correctly identify edible berries before picking. Only pick fully ripened berries. Raw or unripe elderberries are toxic, as are elderberry stems and leaves. Remove elderberries from stems by raking them off with a fork. Pour berries, sugar, lemon juice and salt into a non-reactive saucepan over medium heat. Bring to a boil and simmer until berries begin to burst. Using a hand masher or immersion blender, break up the berries. If using wild berries, be careful not to crush the bitter seeds. If using wild berries, we recommend straining the sauce since wild berries are often full of bitter seeds. Discard solids and return strained sauce to the saucepan. Continue to simmer the sauce over medium heat until slightly thickened, about 10 minutes. Cool and refrigerate in a glass jar or other storage container. Sauce will keep for several weeks. Elderberry can refer to any of 30 shrubs in the Adoxaceae family although sambucus nigra, commonly seen in Europe and North America, is the most well-known of the species. Berries range in color from black to dark purple to bright red. Elderberries and elderflowers have been used in folk remedies for centuries as a cure for the common cold and flu, including influenzas such as Avian and H1N1. Elderberries are said to lower harmful cholesterol, improve vision, boost immune system and offer antioxidant, anti-bacterial and anti-viral properties. 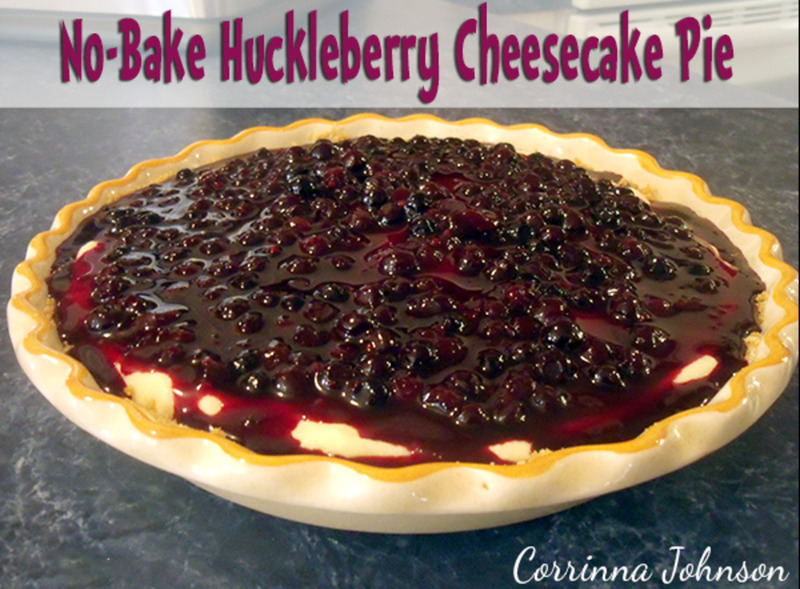 Huckleberry may refer to any variety of fruit-bearing shrub in the Ericaceae family. The fruit is small and round, similar in appearance to a blueberry, and ranges in color from scarlet red to deep purple. Also called bilberry, the fruit is generally seedy, sweet and delicious in jams, pies, cobblers and other baked goods. In North America, huckleberries were a traditional part of the Crow tribe's diet. Since the plants prefer acidic soil, grow slowly and the berries must be handpicked, they are not produced commercially. They do flourish in the wild, though, so why not pick and basketful of huckleberries and whip up your own wild berry sauce? Berries ripen in mid to late summer but be aware they are also a favorite of brown, black and grizzly bears. Avoid picking berries in the early morning or early evening hours, when bears are busy foraging and fattening up for a long stint of hibernation. VVanNess, it sounds like you have a nice repertoire of recipes yourself! Yum! This is kinda like the process I use to make my fresh fruit pies. Very nice! chef-de-jour, your wild berry jam sounds irresistible. Thanks for coming by and taking the time to comment. A delicious hub! Such colour and intense flavour in the wild berries with the added bonus of health giving properties. Perfect. We're just at the end of our berry season, the last 'berry' being rosehips which survive the first frosts. I've made a wild berry jam - really good. Thanks for this recipe. Denise Handlon, thank you for your elegant and simple dessert idea. I hope to try it next time I have lady fingers in the house. Have a great week. Joy M, thanks for the comment and vote! Denise Handlon, I really appreciate your feedback! I just wish it was berry season in Peru. : ) Enjoy the berry sauce. Wow! What a tasty sauce and the whole family enjoyed it. I split the ladyfingers open, filled it with a teaspoon of cool whip, and ladled the sauce over it. Delicious and easy! Great hub! Voted up and useful. Careermommy, I'm also a big fan of berries. 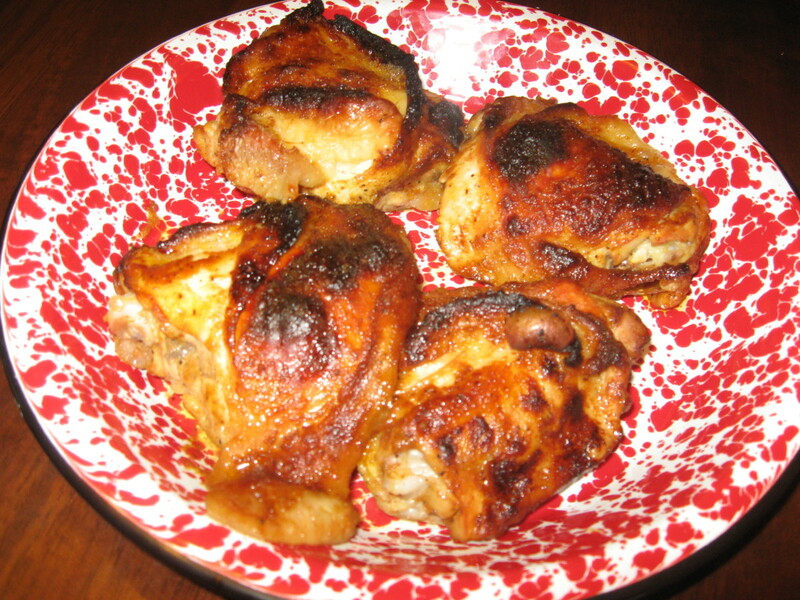 Hope you can try this delicious and easy sauce. Thanks for your comment! Wow, this berry recipe looks awesome! I love all things Berry, and especially all the ones featured in this recipe. Thanks for sharing it! Kathryn Stratford, I'm glad you enjoyed my childhood memory of berry picking. 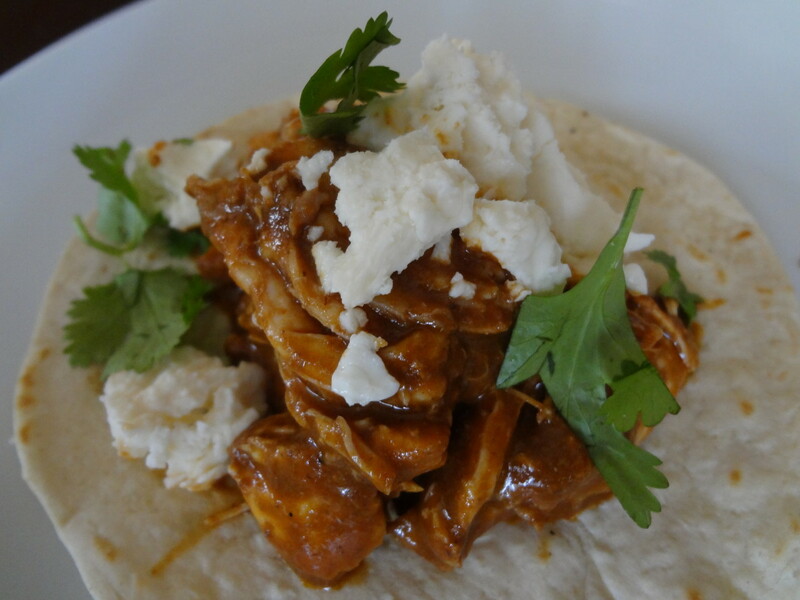 The recipe is easy, delicious and very versatile! I hope you can try it sometime. Thanks for your comment and I hope you have a nice weekend, too! This is charming, starting out with a story about going berry picking, and providing information about these fruits. The recipe itself looks wonderful! Thanks for sharing this with us, and I hope you have a wonderful weekend! 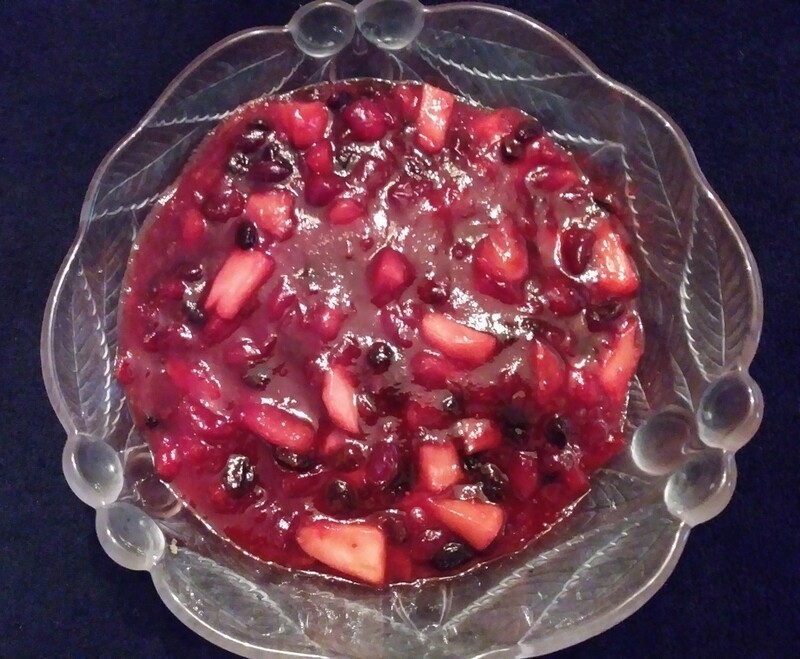 rebeccamealey, this berry sauce is delicious with so many foods. What I wouldn't do for a pot full of berries right now! Enjoy and thanks for the votes and share. Have a nice weekend. Hot diggity. Just in time for black berry and blueberry season. This sounds so good and so easy! Thanks. Shared! And all votes up! DeniseHandlon, delicate lady fingers and berry sauce sounds like just the thing! Enjoy and I appreciate the votes and share. Have a great weekend, too! Deborah-Diane, wild blueberry pancakes sound so delicious right now! That's the only way to eat pancakes in my opinion. Thanks for all your support. Years ago, we would pick wild blueberries to make blueberry pancakes. This recipe sounds fabulous! alocsin, I'm glad your partner enjoys berries. This sauce is so delicious that even a non-berry lover might enjoy it, especially when it's drizzled over something yummy like a panna cotta. Enjoy and thanks for the votes and all your support. I'm not much of a berry person but my partner loves them, so he'd enjoy making this recipe. And since the dish will already be made, I might as well have a taste ;) Voting this Up and Useful. Hi Vespa, so kind of you to link to my blackberry Hub! Many thanks! Your Hub is really a lovely walk down memory lane, and as usual at the end of it a very nice recipe. I love the way we have opportunities to support each other. Just had a nice dish of Greek yoghurt with some lovely Blackberry coulis. yum! DDE, berries are full of antioxidants and nutrients. Enjoy and thanks for taking the time to comment! Prasetio, I'm glad you like the recipe. I love that this sauce can be used so many ways: on pancakes, to sweeten drinks or over desserts like panna cotta. I hope you and your mom enjoy it. Thanks for the vote and comment! Wow....I love the recipe here. Just looking at the picture makes me want to try it. As usual, I'll show this hub to my mom. Thanks for writing and share with us. Voted up and YUMMY! Om Paramapoonya, I'm glad you learned so much about berries today. They're one of my favorite categories of fruit and offer so many health benefits to boot. I really appreciate all your support! JackieLynnley, I envy your homegrown blueberries! You'll have an abundance to try this sauce. Enjoy and thanks for all your support. Pretynutjob, you're so right about the berries. They're full of antioxidants and nutrients so they're a guilt-free snack. Thanks so much for the comment, votes and share! TammySwallow, we love the wild berry sauce on waffles with some fresh berries. Enjoy! I love berries, they are not only delicious but super healthy as well, I will definitely have to try this recipe. 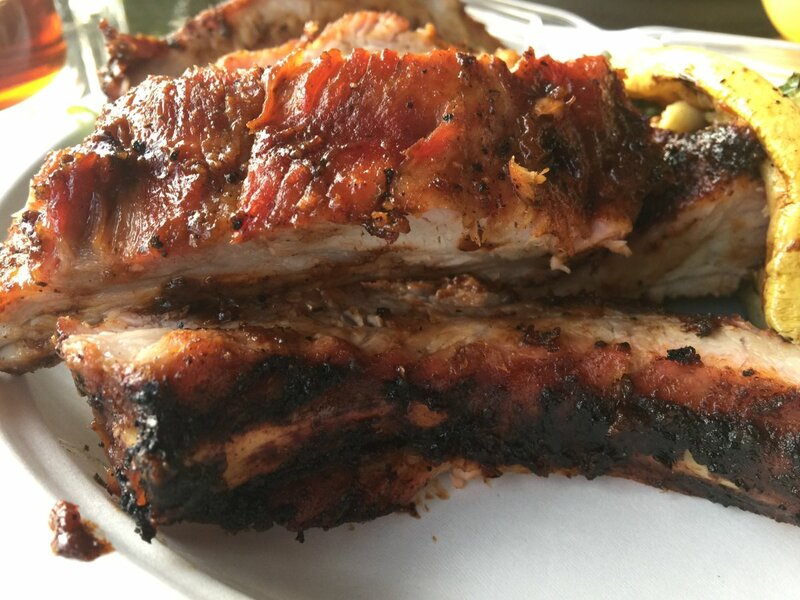 Your recipes always make my mouth water, voted up, awesome and shared. I love berries of all kinds. I'm going to try to make this for waffles. Excellent!! UnknownSpy, thanks for all your support! i love this recipe! berrylicious! ktrapp, I'm glad you enjoyed my childhood memory of my grandfather. He ran a restaurant in his youth and was a wonderful cook. His home always smelled of fresh baked bread, pies or cinnamon rolls. His berry creations were my favorite, though. Thank you for taking the time to comment! I love when a recipe has a wonderful family story and memories to go with it. This is such a delicious tribute to your grandfather. I have to say, you have the most wonderful collection of dessert recipes made with fruit as an ingredient. Blueberries are another one of my favorites, perhaps one day I will get to try this wild berry sauce recipe. Donnah, berries in abundance is my dream--how nice your sister has tons of berry bushes. I'd be paying her frequent visits if I were you! : ) Thank you for your support. PeggyW, how nice you were able to pick blackberries in Oregon where they grow in abundance! Yes, frozen or fresh berries from the grocery store will also work well. Thanks! There is nothing like berry picking in the summer. My sister has tons of berry bushes on her property. Mostly raspberries and wild blueberries. It is always a surety that there will berry something to eat at her house. Yum! Great hub. The only wild berries I picked were blackberries up in Oregon. They seem to grow wild there everywhere! We ate our fill of them. Gave this 5 stars and up votes and will also share. Loved hearing about your family memories along with your recipe. Nice to know that we can use store purchased berries as well since I do not know of a wild berry patch around here. Mhatter, I appreciate the support. ExpectGreatThings, I'm glad you enjoyed this Hub. I'm sure you'll find eldeberries in a rural area nearby. Enjoy! I especially appreciate both their culinary and medicinal value. Thanks for coming by. I hate to admit this, but I had to google "elderberries". They should definitely grow up here, so I will have to keep my eyes open for them. Thanks for the tip! SuzieHQ, glad to hear you'll be doing your own foraging for berries once spring arrives. It's so rewarding and then you enjoy all the delicious foods you can make with them even more. As always, thank you for all your support, votes, etc. etc. Lemonkerdz, I was also shocked to find the berries.They've begun to cultivate and market them in the Lima area. We get blackberries, raspberries, blueberries, huckleberries and even elderberries at times. Who would've thought it would be possible?? ExpectGreatThings, you may have to settle for frozen berries in the meantime. 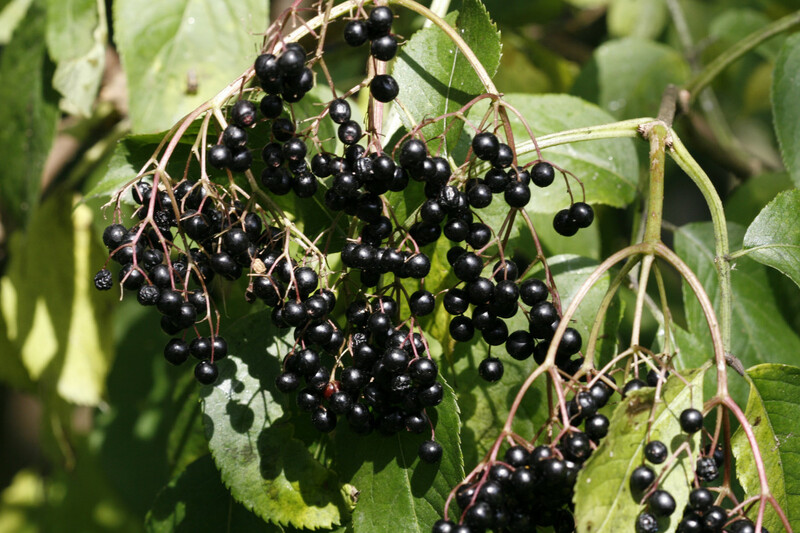 You should be able to find elderberries in rural areas of Illinois in the summer. Have you ever seen them? Erickierker, I'm glad you enjoyed the information. Berries are so full of nutrients and antioxidants. They belong in a healthy diet. cre8ivOne, I'm always happy to meet a fellow berry lover! 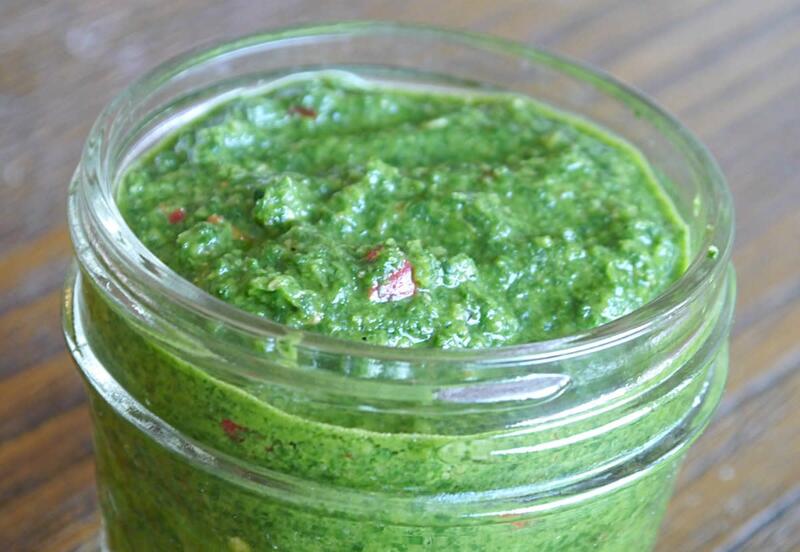 This sauce is so delicious, versatile and healthy. Thank you for coming by! 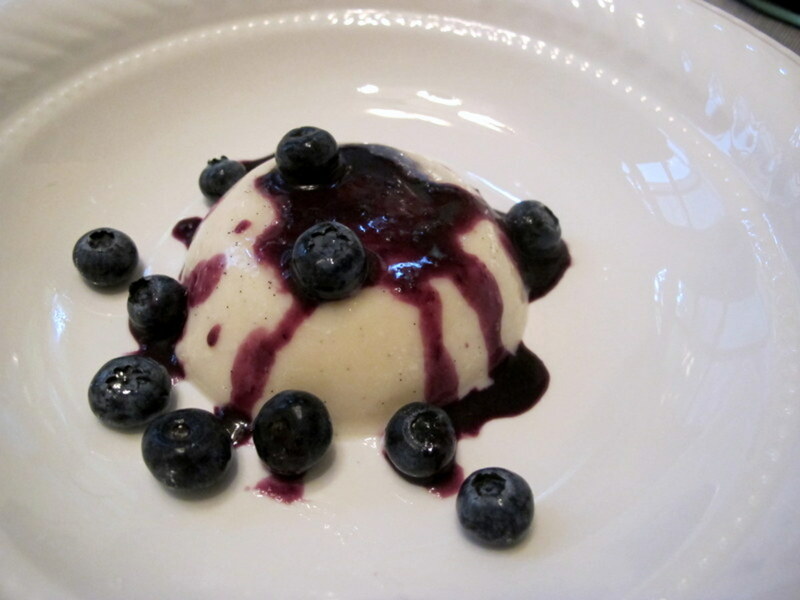 Love that you did the sauce too to go with your delicious looking panna cotta recipe! What a lovely intro stepping down memory lane with your grandfather. I love hearing these family treasures, always full of the best recipes, ingredients and traditions. I have never made a sauce like this i have to admit but love the simplicity so will keeping my eyes peeled come spring and summer. Now I am in the countryside I will be foraging further!! Great info, recipe and ideas as always! Vu, Useful, Interesting, shared and pinned!! Excellent. Very important stuff to know, for me. LOVE berries so much! Especially blackberries. I will be trying this recipe when I have berries on hand!